Apple has announced notable updates to the MacBook Air, Mac Mini, and iPad Pro. The new MacBook Air features a Retina display and Touch ID, the Mac Mini features powerfully revamped internals, and the iPad Pro now features slimmer bezels and support for Face ID and a new Apple Pencil. Aside from new hardware updates discussed below, Apple also released various operating system updates to their product lines as well, including iOS 12.1, tvOS 12.1, watchOS 5.1, and macOS Mojave 10.14.1. 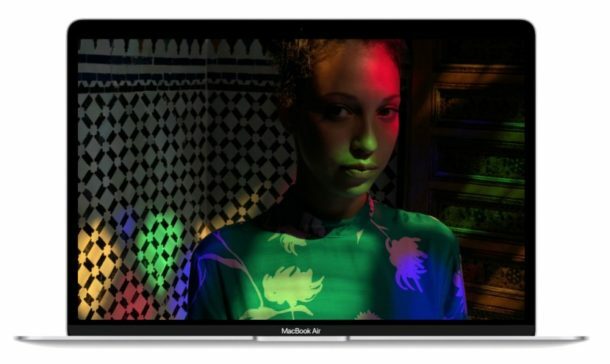 The revamped MacBook Air with Retina display weighs in at 2.75 lbs and now features a 2560×1600 13.3″ display with greater color support and smaller screen bezels. The late 2018 MacBook Air has a 1.6Ghz dual-core Core i5 CPU and includes two USB-C ports and a headphone jack, removes MagSafe as a charging mechanism in lieu of one of the USB-C ports, adds a Touch ID fingerprint sensor, and is available in space gray, gold, and silver color options. Users can customize the MacBook Air to have up to 16 GB of RAM and a 1.5 TB SSD. The keyboard is apparently the same third-generation Apple butterfly keyboard as what is available in the latest MacBook Pro models, though there is no Touch Bar included meaning you will get a hardware escape key and function row instead. The new Retina MacBook Air starts at $1199 and can be ordered today, becoming available on November 7. 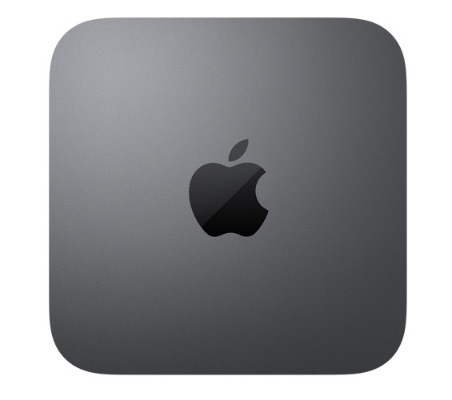 The revamped Mac Mini has a space gray finish and comes with a quad core Intel i3 CPU, upgradable to up to 6 cores. Users can also customize the new Mac Mini to have up to 64 GB RAM and up to 2 TB SSD. The new Mac Mini has rich port options compared to other Macs, including gigabit ethernet, 4 Thunderbolt / USB C ports, HDMI output, 2 USB-A ports, a headphone jack. Mac Mini now starts at $799, with orders available today for availability on November 7. 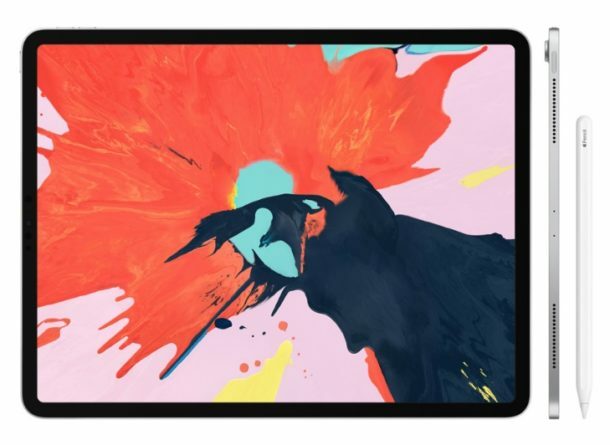 The new iPad Pro slims down the devices bezels, remove the Home button, removes the headphone jack, replaces the Lightning port with a new USB-C connector, includes Face ID as an authentication method, and can now magnetically attach and charge the new Apple Pencil. iPad Pro is available in 11″ and 12.9″ screen options, features an A12X CPU with 8 cores, and is available with storage sizes available at 64 GB, 256 GB, 512 GB, and 1 TB. 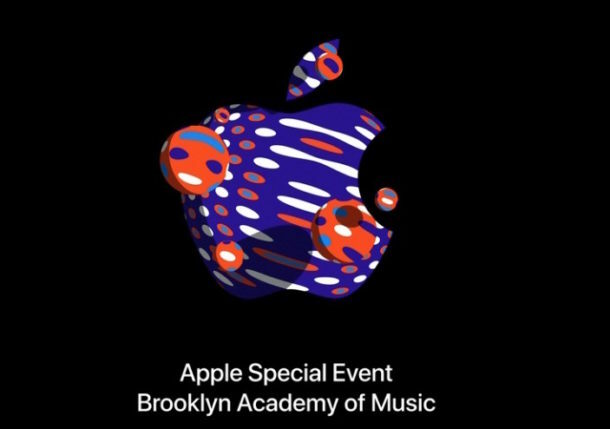 The iPad Pro 11″ model starts at $799 and the 12.9″ model starts at $999. You can order the new iPad Pro today with delivery on November 7. Tucked away in a press release for the new MacBook Air, Apple also states that the existing MacBook Pro will have an optional Radeon Pro Vega graphics card option starting next month for users requiring additional GPU performance on the MacBook Pro line. As mentioned earlier, Apple also released software updates to macOS Mojave 10.14.1, iOS 12.1, watchOS 5.1, and tvOS 12.1. Mac users running prior versions of MacOS Sierra and MacOS High Sierra will also find security updates available for their Macs. Interesting, some good and some bad. Good mostly that the Mac seems to have some pulse again. I use iPad as a couch reader and music listener…. How can Apple call the iPad Pro “Pro” when they removed the headphone jack? Everyone I know that uses iPad uses the headphone jack!! Now they will have to buy the cheaper less powerful model so they can have audio port? Come on! I like it otherwise, minus the huge price tag anyway. I also wish Apple would bundle the keyboard and mouse with that price. I wish Apple was not so tight with storage and RAM too. Starting off Macs with 8gb/128gb is pitiful today, it should be double that by default. So the ‘starting at’ prices are insufficient, the MacBook Air spec’d semi-appropriately to begin with is about $1599 for example. Personally I think every Mac should start with 16GB RAM and 512GB SSD, and minimum quad core CPU, for the prices paid I do not think that is too much to ask. The Mac Mini looks good but the keyboard and mouse are not included, and so once you spec that out appropriately it’s suddenly the price of a pretty nice iMac… but if you want ports I guess you have to pay hefty for it, if only there were a similar option for Mac laptops. Anyway I am glad to see Apple paying some attention to some long neglected products and especially the Mac. I still find their product lineup overly confusing with too many offerings with little differential and lots of nickel-diming type mandatory upgrades to gain a workable machine. It’s a start…. hope Apple recommits 110% to Mac. If you buy an iPad with no headphone jack, how can you watch a movie on an airplane with a friend/husband/wife ? Now I’m using an adapter with the headphone jack where we connect our headphones . Does it exist something wireless?!? Is Apple driven by Microsoft or Samsung people?! I cannot use the latest Apple headphones that come with iPhone because their shape hurts my ears. I still have an old Apple pair with silicon all around in a beautiful box and they work great.. it looks like I will stay with older stuff for a long time till a SteveJobs person will come to Apple and fix all the broken things. So depressing! Sorry I realize this is not funny for many of us who use these tools. On the positive side the normal base model iPad still has the headphone jack, and for most people use it is sufficient for iPad web browsing, email, Netflix, movies, etc. And it is a lot cheaper too. WHY put out a Gold MacBookAir, but no Gold iPad Pro? Bad news about MacBook Air is it has the same keyboard that MacBook Pro does, meaning it feels bad plus it jams up all the time requiring very expensive repairs. The perception is that do not buy the MacBook Air or MacBook Pro without AppleCare to extend the warranty, as the keyboard is prone to failure. On the new MacBook Air keyboard, The Verge tip-toes around the elephant and calls it ‘polarizing’ as if proper input is polarizing and should be addressed as a “both sides” issue. Are there people who like to have a keyboard maybe not work, maybe work? Really? Who? Oh ok, polarizing, but the rest of it is OK I guess? Dongle purchases will add up quick. Sigh. This is just so frustrating. The keyboard is the primary input into a computer, and Apple for 3 years running now has not been able to make a keyboard that is reliable and that feels good. The older keyboard was just so much better. I’m glad they got rid of Touch Bar on the MBA but now they must reverse the keyboards and go back to the old style that worked and felt good to type on. The current Mac laptop keyboard design is fundamentally flawed and unreliable. Twitter and every Apple forum is full of these complaints. The problem is widespread. It is a flawed design. Why it has not been taken back to the drawing board to scrap and start over I do not know. Better yet, use the keyboard from the 2015 MBP or 2016 MBA… it actually worked all the time! When will Apple listen? Never? So not surprising that Mac sales are down when they are abusing the keyboard, stripping widely used ports, stripping away keys that everyone uses every day (ESC, F1, F2, VOL UP, MUTE, VOL DOWN, BRIGHTNESS, HELLO?? ), this creates a lot of echo in the Apple community of creators, and that trickles out to everyone else. It’s no wonder sales are down! Unfortunately Apple neglects or abuses the Mac, sales drop, which then reinforces Apple belief that nobody wants a Mac, so they neglect the Mac more, causing Mac sales to drop even more. How can they not see the cycle is their own doing?